I loved living in Haverhill. There was a special magnetism to the city and a rich history to this shoe-capital of the state. Read about Hannah Dustin, captured by the local native Americans, learn the back-story of Archie's comics, set in Riverdale, on the shores of the Merrimack. It's all here, packed into this little volume, complete with walks of the area. 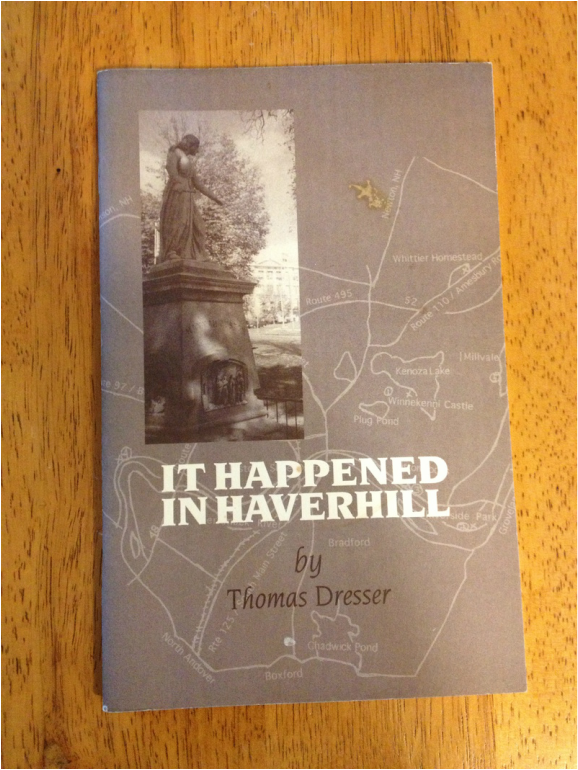 Booklet is available at the Haverhill Public Library or through this website. Enjoy! I did.